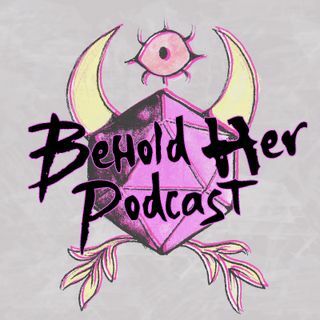 In Episode 2 of Behold Her, host and producer Lysa Chen chats with three generations of administrators and organizers of the Adventurers League, the official play campaign for Dungeons & Dragons Fifth Edition. Guests include Claire Hoffman, the Associate Content Manager of the Adventurers League, Deb Berlin, the Vice President and Convention Coordinator for the Role Initiative, and Fenway Jones the Teen DM, the organizer of Jasper's Game Day to support suicide prevention. The episode ... See More ends with an audio story, written and read by Mysty Vander, about how a clash with kobolds gave her a spark of hope. Thank you so much for this episode!! I'm talking with my cast now about doing something for Jasper's Game Day to help benefit and I found many of the guests super engaging and amazing. This is a great podcast! Thanks to everyone for sharing your experiences. Fenway Jones is such an amazing DM!